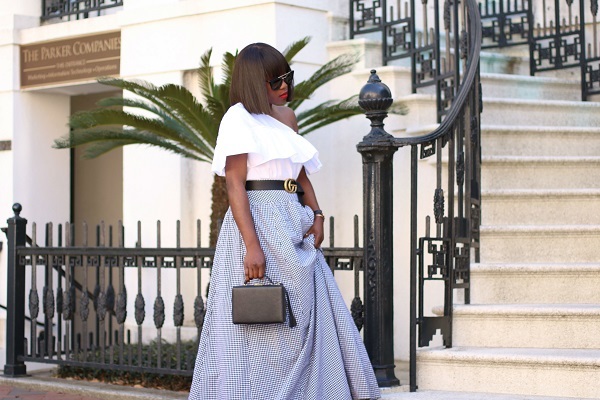 Happy Monday, sorry for the Friday break but currently on a family vacation and just wanted a day away from work to take it all in. 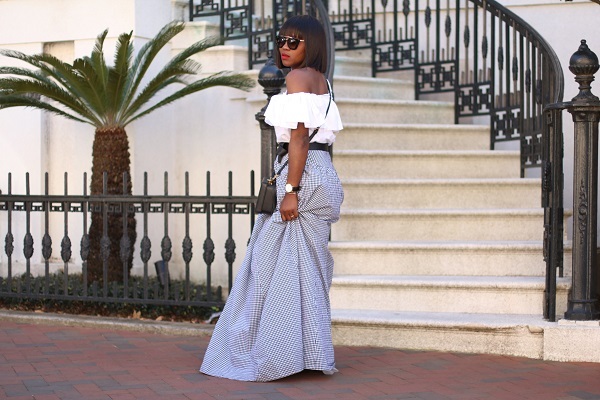 While on this holiday, I spent a day in Savannah, Georgia, a beautiful place, throughout this trip I’ve definitely realised how much I love parts of the south from Charleston, to Raleigh and more. 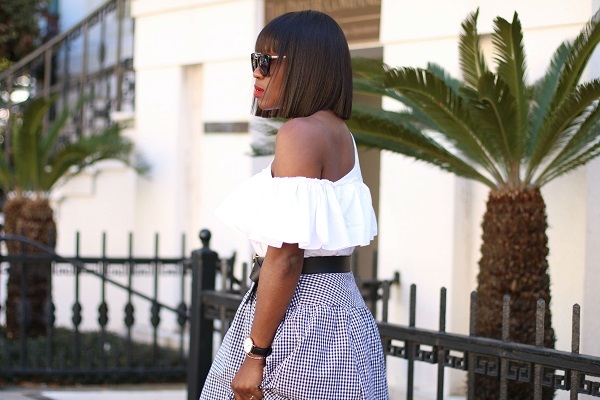 On to today’s look, the gingham print is definitely a must this season, and in all forms from clothing to shoes. 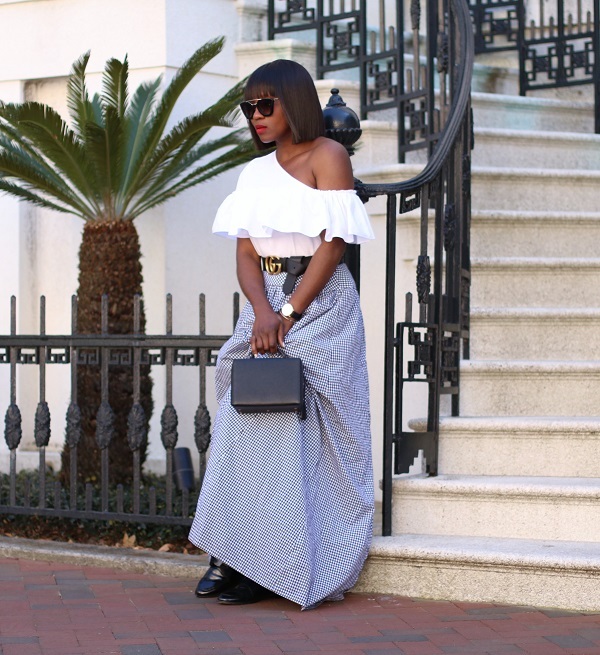 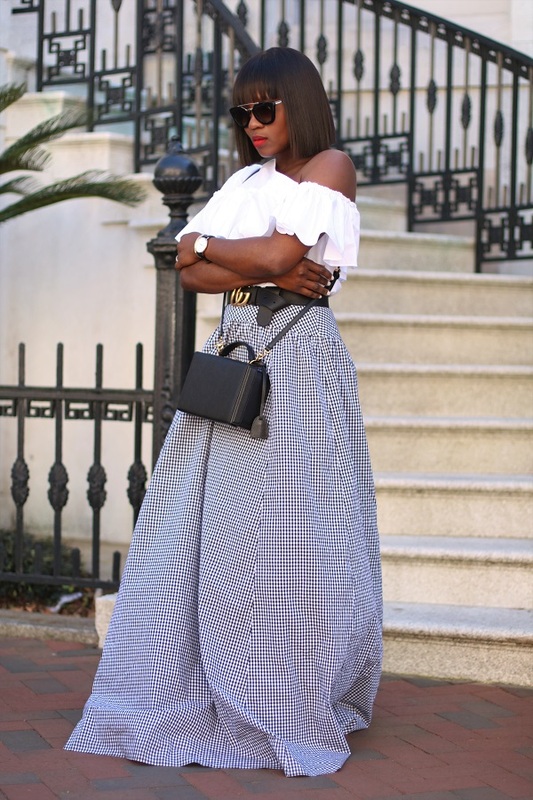 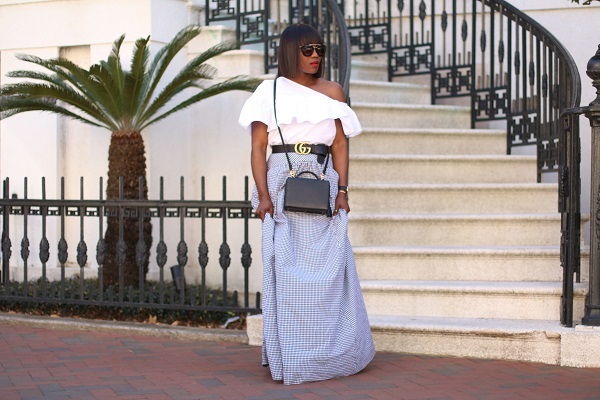 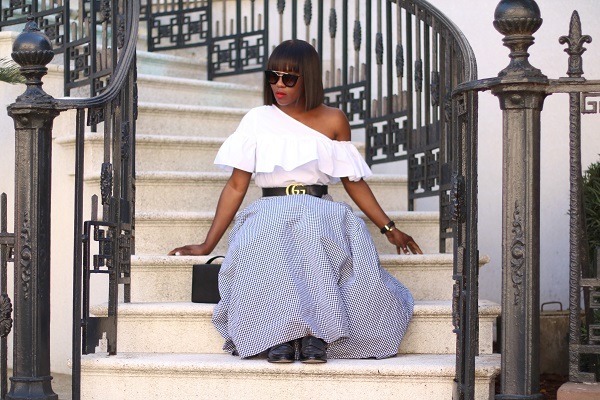 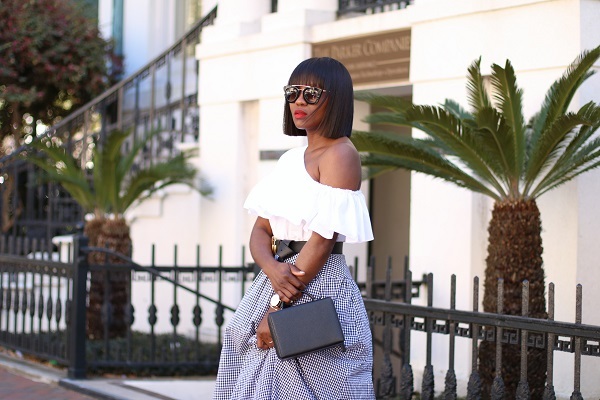 As a huge fan of the print, while on my recent vacation, I had to style this maxi skirt because as cheesy as it may sound I’ve always wanted to walk the southern streets in a looks that remind me of the south.